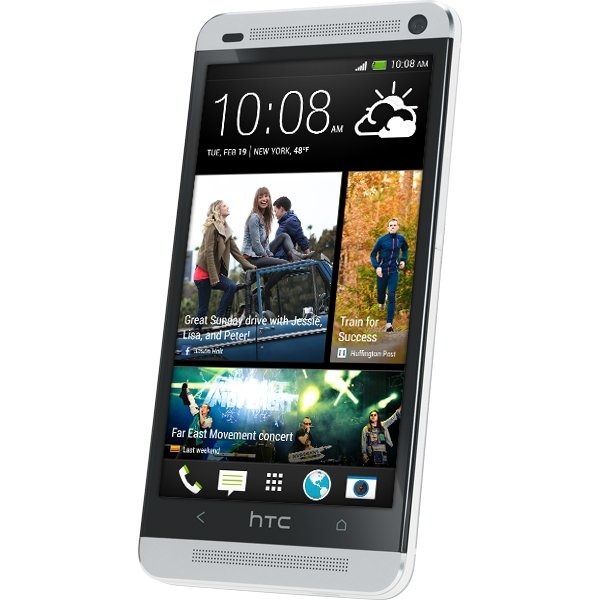 The smartphone price wars are continuing after Amazon temporarily dropped the Sprint HTC One to $79.99 yesterday. Now Wirefly has taken the device down to only $49.99 with a new two-year contract. Keep in mind this price is only available on new lines of service. That can mean a completely new account, or a new line on an existing account in this case. Upgrades on existing lines are $129.99. 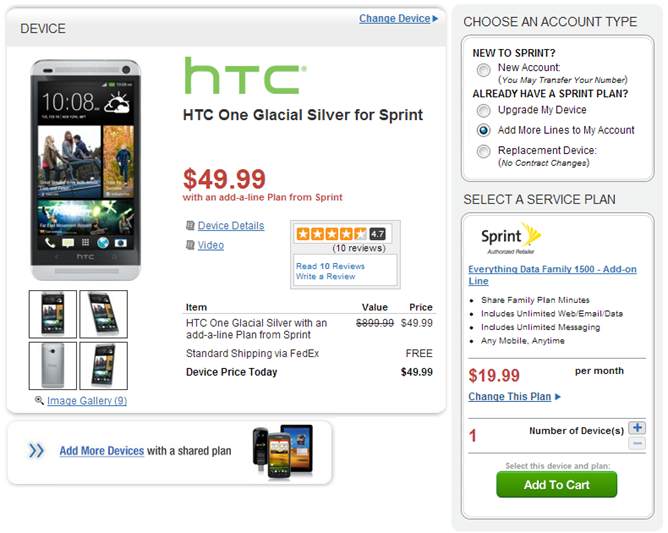 That's still a deal when you consider the $639.99 price tag on an unsubsidized Sprint HTC One. You can get the silver or black device through Wirefly with free shipping. Don't forget to redeem the $25 Google Play gift card HTC is offering, as well. It makes this killer deal that much better.